There are plenty of small businesses out there that do all sorts of unique things. Many have brilliant ideas and want to put their idea out there to share; however, their businesses may not always survive. Small businesses have hard getting started. Some don’t know where to start. Some don’t know how to properly advertise. Small business is good for our economy so how can we as a community help keep these businesses afloat? Well the answer is simple…support small business. In this day in age for small businesses to get their name out and service/product sold they must be connected to the internet. Must haves include a twitter account, a business facebook page, a website, and other social media sites such as Tumbler or Linkedin. It is easy and mostly free to set up with any social media site. Once they are up and running what’s next. Well, this is where the community steps up and shows it’s support. Of course these small businesses will invite their friends and family to follow them or like their page but that will only get them so far. The rest of us will have to do our part by liking, following, and sharing. It’s as simple as that. 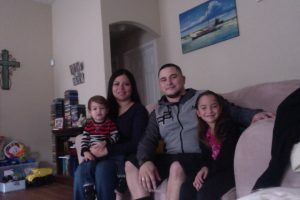 The more likes and share the more others will see and read about this company and the higher the chances for someone to do business with this small company. 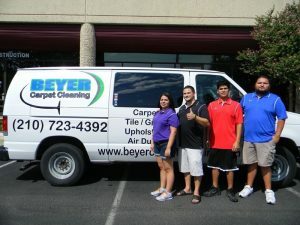 Beyer Carpet Cleaning San Antonio has gotten far by having family and friends share and like and follow them on their social media sites. When their family and friends share the more people their company is exposed to. Every bit of free advertising for small businesses helps in such a big way. It doesn’t cost anything for you to like or share every once in a while. So many carpet cleaning companies go under because they don’t know how to put themselves out their for people to find them. So many of the carpet cleaning companies have old school owners who still use the yellow pages book to advertise when must of the world is looking at yellow pages online. If we want a better economy then it takes all of us as a community to help out and support small business and it doesn’t cost you a dime.